The mandatory tax declaration for 2017 of the Chairman of the Committee for Combatting Corruption and the withdrawal of illegally acquired property (KPKONPI) (sic) Plamen Georgiev contains false data. What is declared is an acquisition of an apartment with an area of 156 square meters and a terrace of 48 square meters. The notary deed is, however, for an apartment on three levels with two large terraces – 186 square meters and 48 square meters. The large terrace of 186 square meters is simply missing in the declaration. In addition, the deal had been concluded at a price well below the tax assessment. In principle, this is not illegal if local taxes and tax assessment fees are paid. The apartment of Plamen Georgiev is a three-level unit in a new building on 21 “Prof. Georgi Pavlov” street. The first level has an area of 106.76 square meters and a terrace of 47.99 square meters. The second level has an area of 16.08 square meters and a terrace with an area of 186.57 square meters, duly described in the notary deed. The third level has an area of 33.08 square meters. The tax assessment of the property is BGN 452,786. The description of Plamen Georgiev’s three-level apartment in the Cadaster includes both terraces. For such an exclusive home, the price cannot be less than EUR 1,500 per square meter for the apartment and EUR 500 per square meter for the terraces or at least BGN 700,000 (EUR 350,000), which makes an average of EUR 900 per square meter. Plamen Georgiev, however, has declared in the notary deed a price of EUR 150,000 or an average of EUR 384 per square meter. As a source of income, he has indicated a bank loan from First Investment Bank (FIB or Fibank) and the sale of another home. The seller is not a company, but a private person who owns a construction company. Whether the low price in the notary act is to disguise the fact that Georgiev cannot prove the income needed to pay the full price of the luxury apartment or is a preferential one as a gesture from the seller to a powerful person should be clarified by the very same Committee headed by Georgiev – KPKONPI. Bivol revealed earlier that apartments and garages purchased by Plamen Georgiev and his wife in 2012 and 2017 are listed in the tax declarations at significantly lower prices than the prices they were purchased for and entered in the Property Register. The explanation of this mystery turns out to be simple. In the Property Register, the tax assessments of the properties are entered, as this is a legal obligation and lower prices are entered in the notary deed that correspond to the income of the declarant. Moreover, this is done systematically. 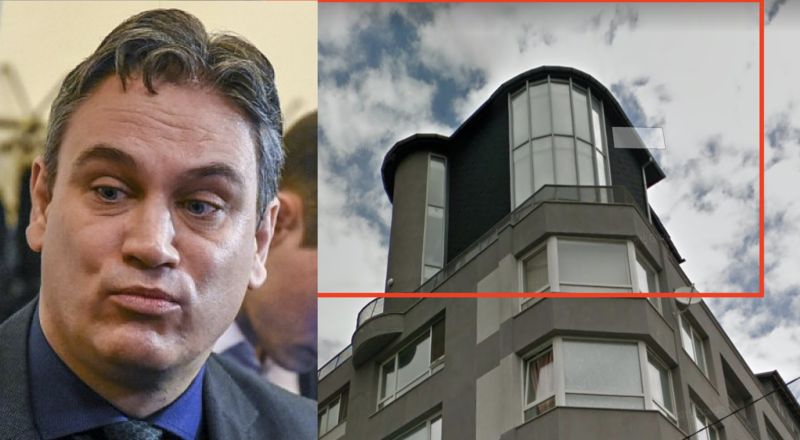 As early as 2012, Plamen Georgiev Dimitrov declared an apartment with two parking spaces in the “Geo Milev” district in Sofia for BGN 207,318, but according to the Property Register, BGN 264,310 had been paid. The difference is BGN 56,992. Together with the three-level unit, Plamen Georgiev paid for his properties BGN 249,292.5 below their tax assessment. In the cases with the cheap apartments of people in power until now, the properties prices have been declared at the level of their tax assessment or over it, but not at the market price level. Earlier, the site Frog News calculated, based on Plamen Georgiev’s public tax declarations, that the declared apartments prices are below the market ones. It turns out, however, that Georgiev’s problem is different. It is now clear that the KPKONPI Head has set a new record in “ApartmentGate” with a tax declaration below the tax assessment, not to mention the market price. The absence of the 186-square-meter terrace in Georgiev’s declaration is also shocking. Terraces are not just a decorative detail and should be declared when they have been entered in the notary deed. If this terrace omission is done intentionally, it can be considered document fraud. Plamen Georgiev’s name is often mentioned as a likely successor of Chief Prosecutor Sotir Tsatsarov at the post. Tsatsarov, himself, before taking office, was also exposed by Bivol in declaring properties at 1/1,000 of their real cost.